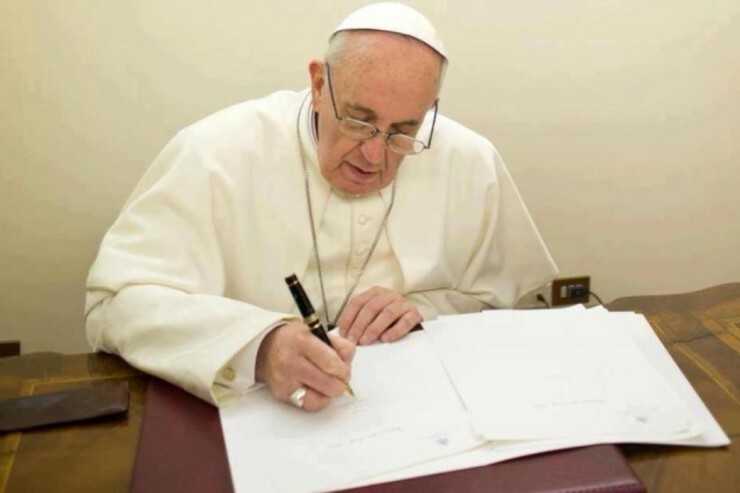 I received your letter of this past September 30, by which you generously wished to express your gratitude for the publication of the Motu Proprio Magnum Principium and transmit to me the “Commentary” note, elaborated on the subject for a better understanding of the text. On thanking you earnestly for your contribution, I permit myself to express simply, and I hope clearly, some observations on the above mentioned note, which I believe are important especially for the implementation and correct understanding of the Motu Proprio and to avoid any ambiguity. In reality the new canon 838, through the distinction between recognitio and confirmatio, affirms the different responsibility of the Apostolic See in the exercise of these two actions, as well as that of the Episcopal Conferences. Magnum Principium no longer holds that the translations must be in conformity on all points with the norms of Liturgiam authenticam, as was done in the past. It is why each number of the LA must be carefully re-included, including nn. 79-84, in order to distinguish what is required by the Code for the translation and what is required for legitimate adaptations. Thus it is clear that certain numbers of LA were repealed or were rendered out-dated and reformulated by the new canon of MP (for example n. 76 and also n. 80). Here one can add that, in the light of MP, the “fideliter” of paragraph 3 of the canon, implies a threefold fidelity: to the original text in primis; to the particular language into which it is translated and finally to the intelligibility of the text for the recipients (Cf. Institutio Generalis Missalis Romani nn. 391-392). In this connection, the recognitio indicates only the verification and safeguarding of the conformity to the law and to the communion of the Church. The process of translating the important liturgical texts (for example the sacramental formulas, the Creed, the Pater noster) into a language – in which they are considered as authentic translations – must not lead to a spirit of “imposition” on the Episcopal Conferences of a translation given <or> made by the Dicastery, because that would harm the right of Bishops established by the canon already earlier by the SC 36, paragraph 4. Of the rest, one keeps present the analogy with canon 825, paragraph 1 on the version of the Holy Scripture that does not need confirmatio on the part of the Apostolic See. Finally, Eminence, I confirm my fraternal gratitude for your engagement and given that the “Commentary” note was published on certain Internet sites and wrongly attributed to your person, I ask you please to do what is necessary for the divulgation of my response on those sites as well as for sending it to all the Episcopal Conferences, <and> to the Members and Consultors of this Dicastery. And on asking your prayer for me, I assure you of mine for you!